About - Mullum S.E.E.D. Inc.
Mullumbimby Sustainability Education and Enterprise Development Inc (Mullum SEED Inc) provides an interactive facility for research, community education and ecologically sustainable development that enhances and protects the natural environment and builds a respectful, supportive & resilient community. We provide support services to 12 not-for-profit community organisations in various ways depending on their capacity and organisational development. At a public meeting in May 2006, a group of community members began developing the vision for a community garden in Mullumbimby. People of all ages and abilities worked together gathering ideas, pictures, dreams and expertise to create a shared goal. We secured a lease with Byron Shire Council for our chosen 5 acre site in April, 2008 and with water being connected in the following August, the site development began. With its broad range of programs, Mullumbimby Community Garden has now become the catalyst for more community gardens in the Byron Shire. The Organisation also expanded to support emerging social enterprises and community organisations that match our values and objectives with auspicing and partnership agreements. 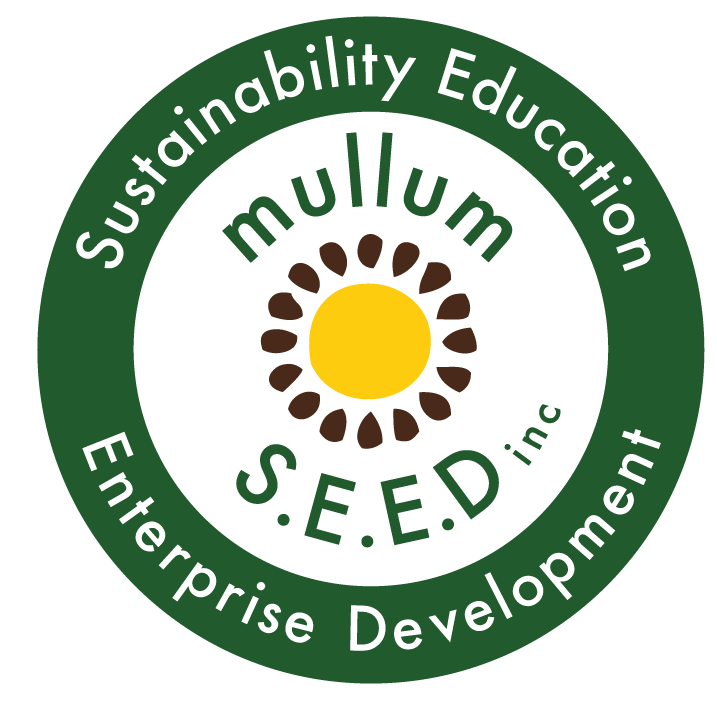 To reflect this expansion, the organisation’s name, constitution, objects & governance structure were changed in November 2012 to the Mullumbimby Centre for Sustainable Living and Environmental Education inc and in May 2014 it was officially shortened to Mullum S.E.E.D. inc. (Sustainability Education and Enterprise Development). In 2018 Mullum Community Garden Inc became a separate entity. Mullum Seed Inc is now registered as an Environmental Organisation with Deductible Gift Recipient and Tax Charity. Thank you to all the local businesses and organisations for supporting Mullum S.E.E.D. projects.